A set of 8 basic crayons to help create a fun atmosphere for creativity, from doodling to school art projects. 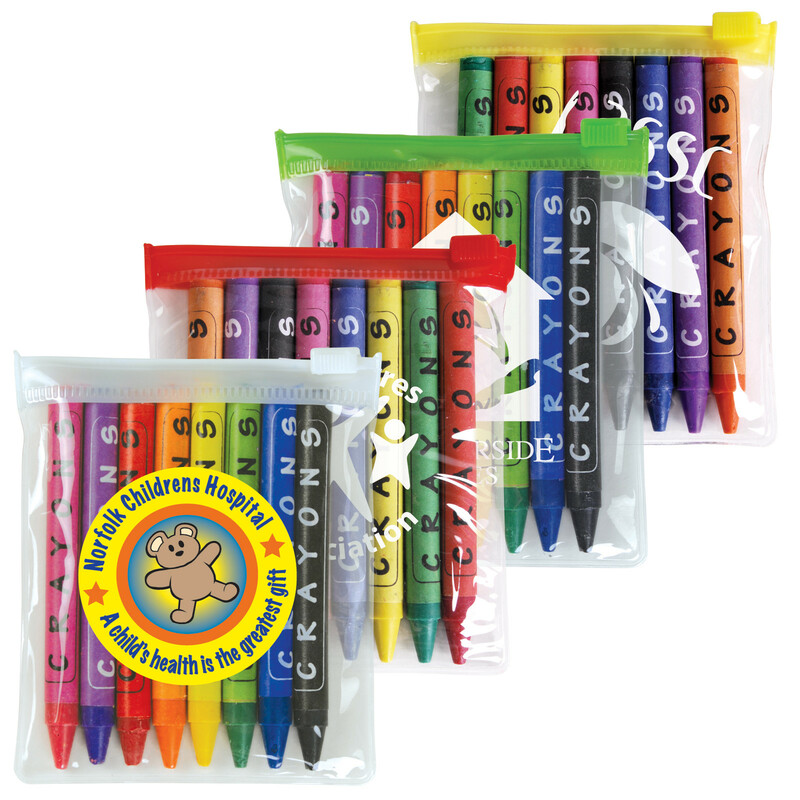 Provide kids of all ages with a safe, bright and colourful way to express their creative and artistic side. 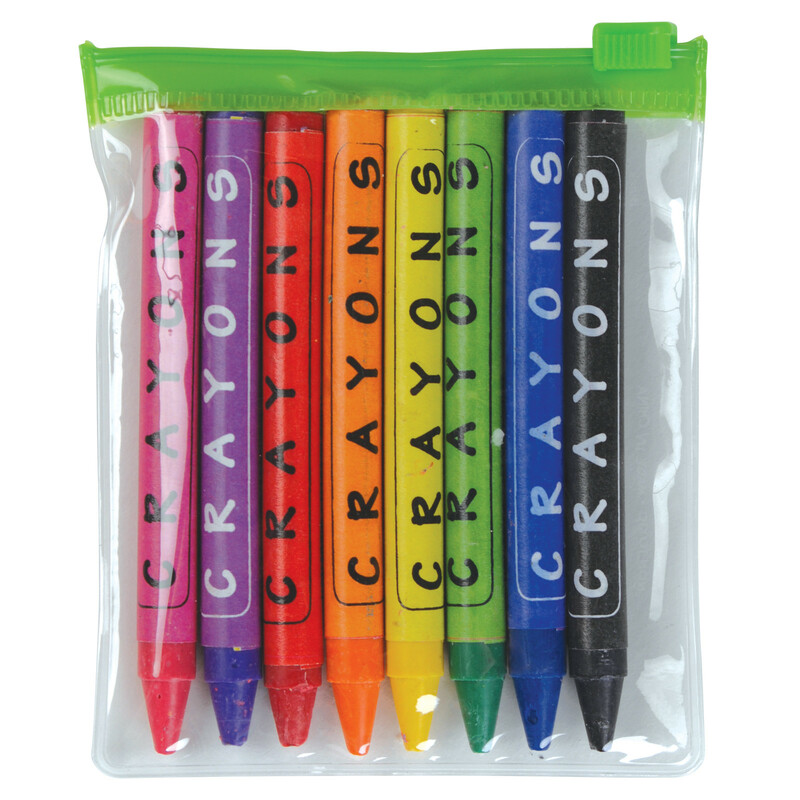 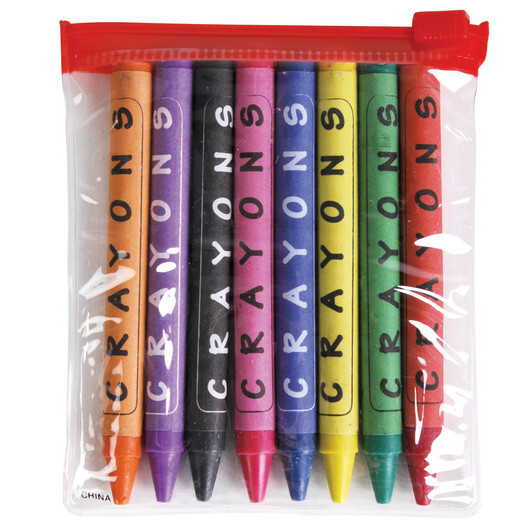 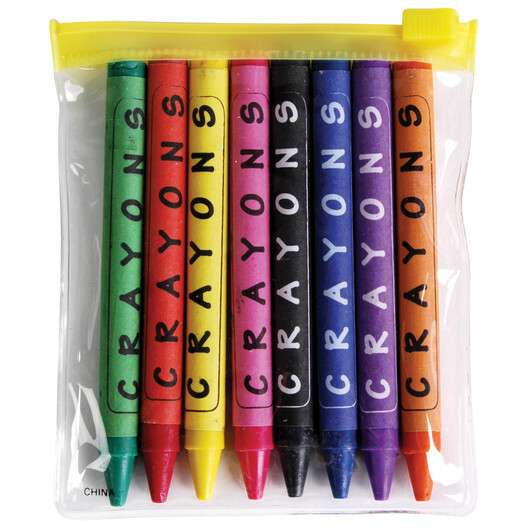 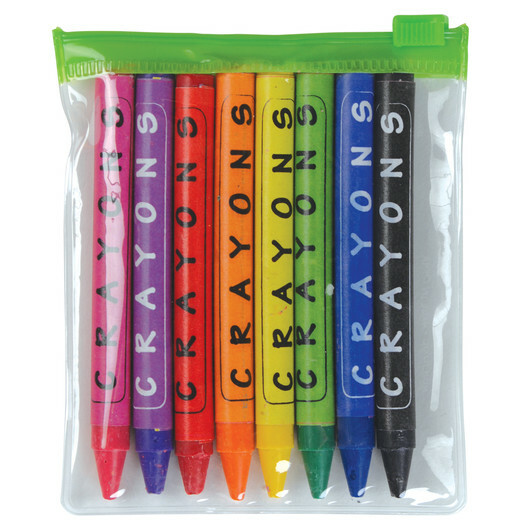 This set of 8 assorted non-toxic crayons are packed in a clear PVC zip lock pouch. Can also have a choice of yellow, green, red, or white zip lock strips on clear pouch. 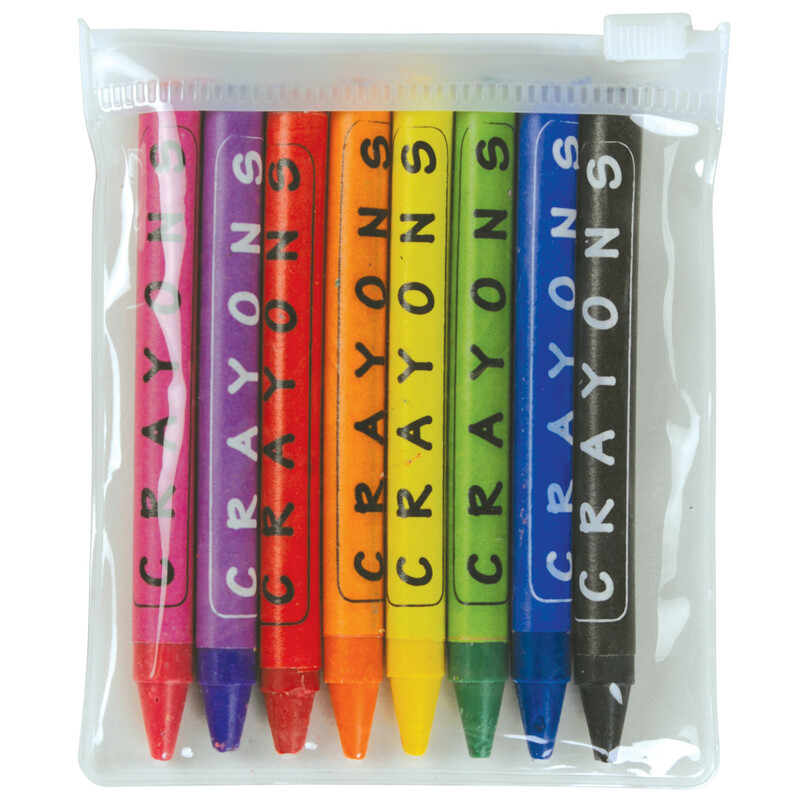 They work on virtually any desired surface and are excellent on paper, cardboard or posters.